Dancing horses are all the rage right now. We’ve seen so many videos of dancing horses gone viral that it’s almost impossible to believe that there’s a horse out there that can’t dance! 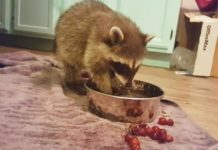 Of course, it takes a bit of sync and talent, but really, what’s cuter than an animal just trying to have some fun and groove to its favorite music? The horse in the video below seems to enjoy Billy Ray’s “Achy Breaky Heart,” and it’s quite clear that the beautiful horse is ready to dance as soon as the song comes on. Both owner and animal are perfectly in sync throughout the routine, and it couldn’t have been better. 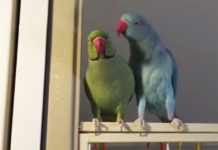 Parakeet Brothers Having a Full Conversation Will Impress You with Their Vocabulary. 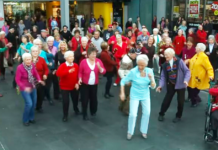 Watch Awesome Flashmob in Shopping Center: Old People Dancing to “Feelin’ Good” by the DNC.